The flexible all-inclusive multideck. State-of-the-art economic chilling. AHT offers a fresh take on multideck chillers with the all-new VENTO WATER. 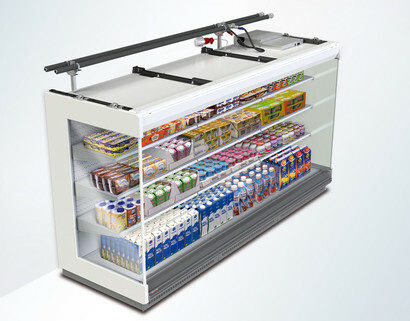 This revolutionary series of plug-in multidecks for meat and dairy products provides impressive flexibility, requires minimal installation and boasts sustainability in operation and investment. 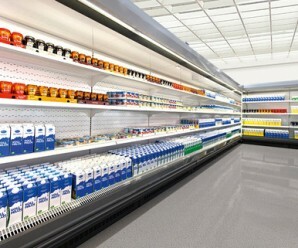 The innovative concept of fully integrated refrigeration technology reduces system complexity and installation work to a minimum. Extremely versatile, for open use or equipped with glass doors, VENTO WATER is the ideal up-to-date multideck solution! Glass sliding/swinging door combination: for fast loading, the swinging doors can be pushed aside into neighboring sections – if units are row placed, the doors can even be pushed beyond the shelf ends!